But at three miles below the surface, where the rocks are so hot they burn bare skin, something has been waiting for centuries. Waiting ... and guarding. Kirkland and EarthCore are about to find out firsthand why this treasure has never been unearthed. 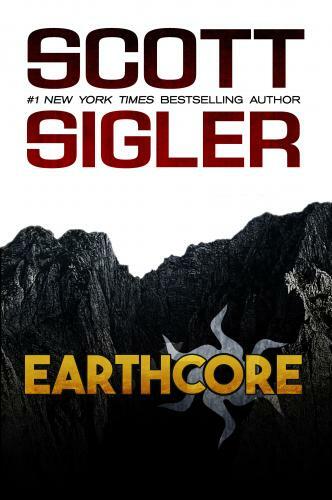 #1 New York Times best-selling author Scott Sigler is the creator of fifteen novels, six novellas and dozens of short stories. He gives away his stories as weekly, serialized, audiobooks, with over 40 million episodes downloaded. Scott launched his career by releasing his novels as author-read podcasts. His rabid fans were so hungry for each week's episode that they dubbed themselves the "Junkies." The first hit is always free ... He is also is a co-founder of Empty Set Entertainment, which publishes his Galactic Football League series. He lives in San Diego, CA, with his wee little dog Reesie. Both Scott and Reesie are diehard Detroit Lions fans.